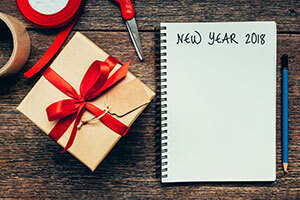 Ready or not, 2018 is here – which means it’s time to make your New Year’s Resolutions. Why not make a few that will bring you more peace of mind and greater home comfort? Prioritize your peace of mind – Life these days is stressful, but you can take away some of that stress by staying on top of the routine tasks that keep your home running great. An annual tune-up is a must for any home comfort equipment: preventative maintenance will help ensure your appliances work best when you need them most, and will often increase system efficiency enough to offset its cost in a single season. Want an even better peace-of-mind value? Upgrade to a Broward Service Plan, which adds repair discounts and priority service to your tune-up. Or sign up for a comprehensive Broward Home Warranty to cover unexpected breakdowns to your AC, water heater, and other common appliances. Make sensible upgrades – Nothing lasts forever – not even your home heating and cooling system. Upgrading to a new high efficiency HVAC system – or moving from a conventional to a propane tankless water heater – will often pay for itself in just a few years, and provide more comfort, better performance, and better warranty coverage along the way. Need assistance with financing? We can help there, too. Start 2018 out right – enjoy more peace of mind with expert service and equipment upgrades from Broward Factory Service. Contact us today to learn more or get a FREE estimate. Next PostNext The Answer to Unpredictable Weather: Be Prepared!